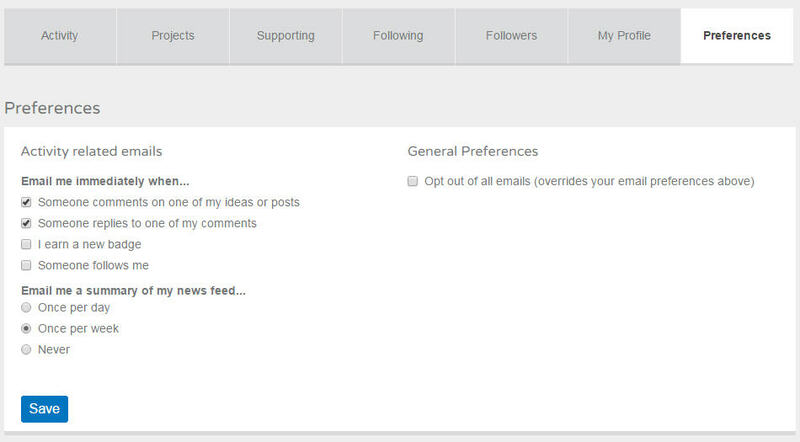 You can unsubscribe from our weekly digests by using one of two really easy options. Check them out below. You can click the unsubscribe link at the bottom of any email you receive. That way you won't get any more email newsletters from LEGO Ideas. 4. Choose the frequency with which you would like to receive emails. 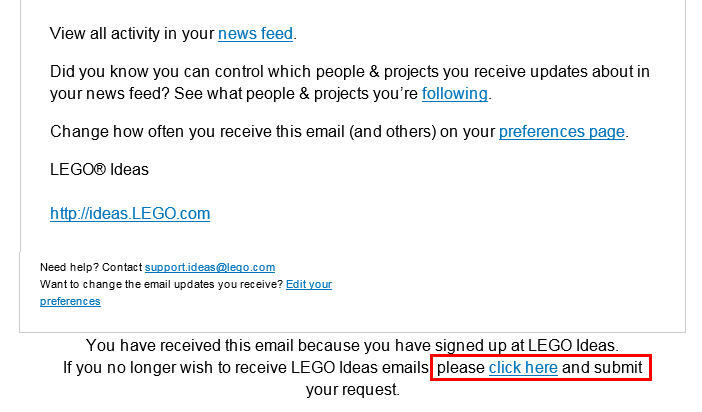 Choose "opt out of all emails" if you don't want to receive any communications from LEGO Ideas.